Wonderful bright and cheery, very private detached condo with water view. A rare opportunity to live in 1 of 12 units. The condo features a great open floor plan with living room with cathedral ceilings, large picture window, and a natural fireplace. New flooring in living room, dining room, loft, and master bedroom. 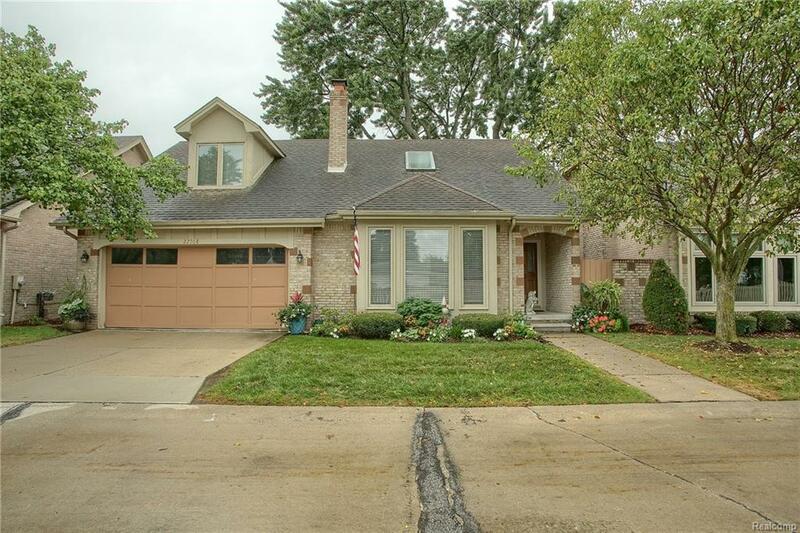 First floor master with updated private bath and large walk-in closet. Kitchen with lots of cabinet space and first-floor laundry. Second-floor great room or office with skylight. Attached 2 car garage. Private courtyard. Large storage area. Enjoy shared gazebo on Lake St Clair. Association dues cover, lawn maintenance, decorative lights, snow removal and exterior maintenance.